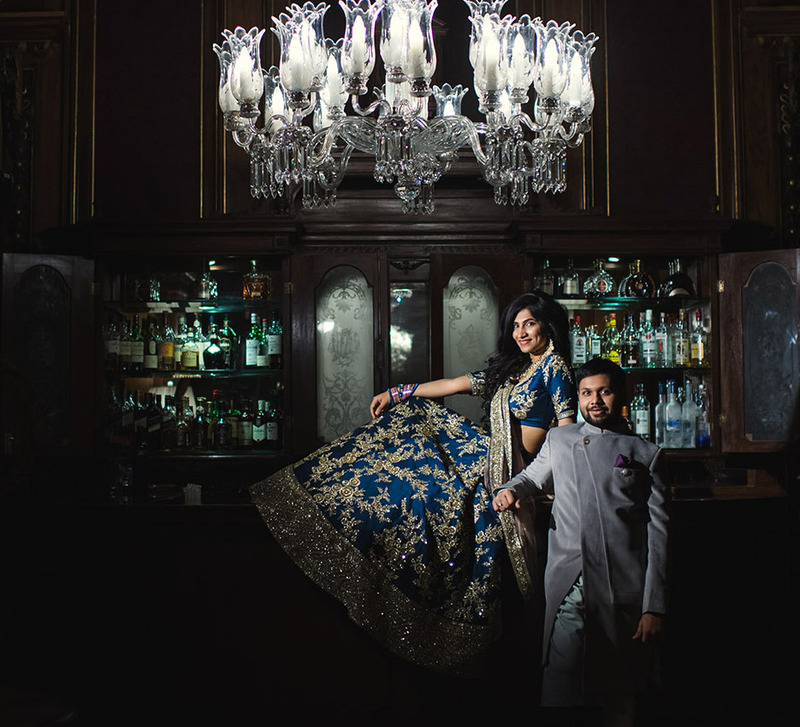 Arushi and Karthik’s eclectic wedding celebrations drew influences from Morocco, Rajasthan and Tamil traditions. At the confluence of two cultures, you can witness the sweetest of synergies. 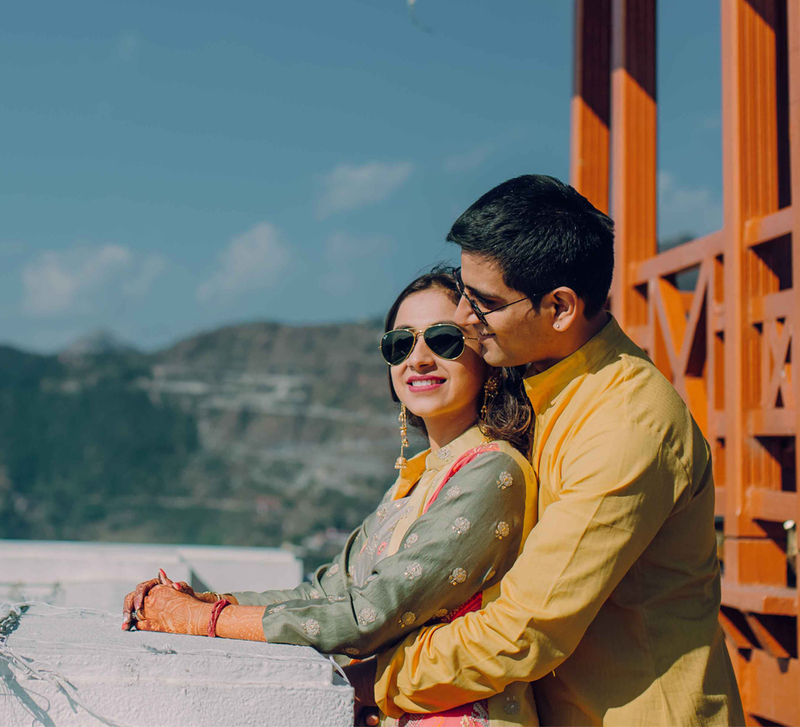 Arushi and Karthik were determined to celebrate both their worlds at their wedding. They began with a location that not only had its own personality but was big-hearted enough to accommodate both their cultures and traditions. Rajasthan was the perfect choice. The magnanimous Land of the Kings was where the couple held their resplendent wedding, beautifully captured by WeddingSutra Favorite The Wedding Salad. Bride Arushi shares some highlights from the events. From foes to friends to fondness; when Arushi and Karthik met at work 6 years ago, they couldn’t stand each other. They actually didn’t even speak to each other for 9 months! But you can’t stop true love and as circumstances changed, their hate turned into love. Sprawled in the midst of the Thar Desert, WelcomHotel Khimsar Fort and Dunes offered a truly authentic Rajasthani heritage experience for Arushi and Karthik. With guests glamping in the dunes, the ceremonies were held in parts of the fort and the wedding mandap was set up by an oasis. “We wanted to break the ice amongst our guests and so our welcome lunch was carnival inspired. Since it kickstarted the ceremonies, we planned an entertaining, relaxed afternoon. We’d hoped it would be a nice event where everyone could meet but it turned out to be mad fun as the mamas and mausis began playing beer pong!" Arushi made for a relaxed bride in her flowy gown from Sionnah Pret with her hair tied back and minimal jewelry while Karthik chose a Nehru jacket. The mehndi ceremony was Rajasthan inspired. A section of WelcomHotel was festooned in tints of pink and green. To beat the desert heat, Thandai Spheres and Paan Caviar provided hydration and refreshment. 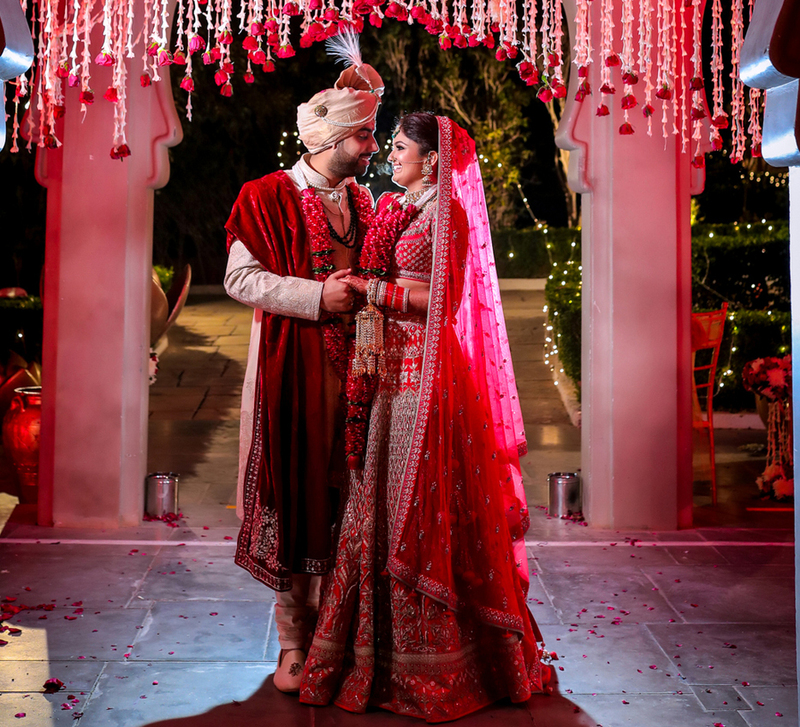 Arushi and Karthik coordinated their attire with the décor with the bride in a green Kalki lehenga teamed with elegant floral jewelry and a green Jinam sherwani for the groom. The haldi ceremony was extremely joyous as the bride and the groom sat beside each other while their families colored them yellow. Arushi kept it simple yet elegant in a pink Nazraana Chickan Boutique lehenga and Karthik wore the traditional white kurta. A Moroccan themed night in the desert is a match made in heaven. At the sangeet, this spot in the Thar Desert was lit up with yellow bulbs as yellow and blue décor accents created a little Arab magic. 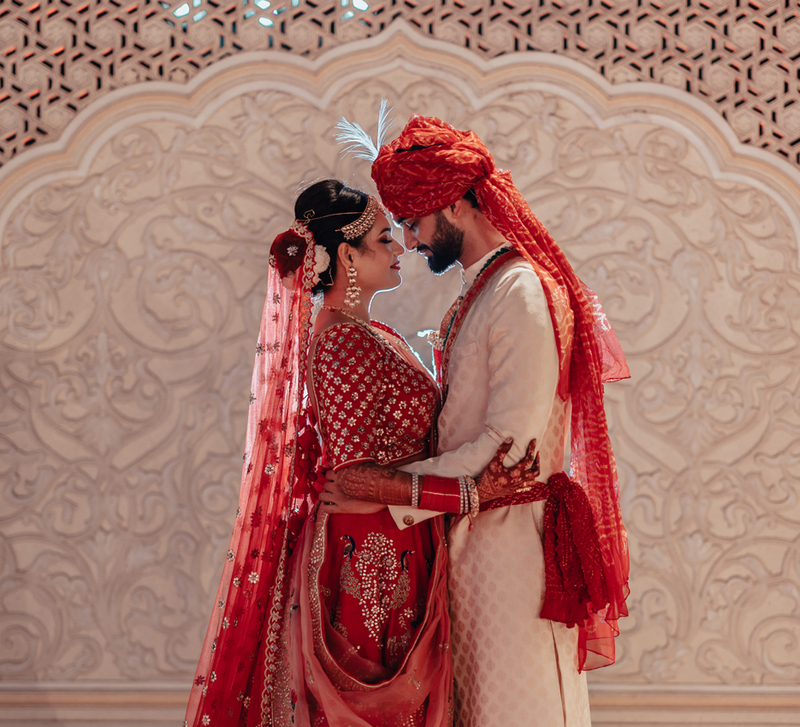 The bride and groom matched each other but were in contrast to the venue’s palette - Arushi wore an opulent pink lehenga while Karthik wore a pink sherwani with dhoti pants. The bride looked stunning in an exquisite black sequined Sionnah Couture gown while the groom wore a tailored suit with a violet bow tie, which was quite a style statement.